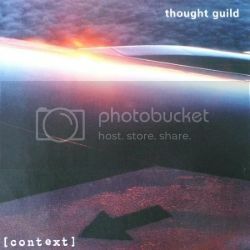 The debut release from Thought Guild "Context" my collaboration with synthesist Christopher Cameron is available once again for a brief time period. This was originally released in 2002 and has been unavailable for many years. Context was a the genesis of a trilogy of releases before the project finally came to an end. Thought Guild was an improvisational project of instant ideas and parallel influences caught in the digital medium. Instrumentation was from the bygone days of Yamaha CS, ARP and Moog analog synthesizers intertwined with some more "modern" gear. Most of the music was a two-track jam session where spontaneity was the music and conductor. I have only pressed a very minuscule quantity.